Hello and welcome to my website World Gambling Review. I'm Bill Reed an industry expert and fan of online gambling and an Australian who generally loves online casino sites and playing online pokies. I've built this website with the intent of eductating visitors with all aspects related to online gambling as well as provide information about online casinos and gambling online for players from Australia, New Zealand the United Kingdom, United States, Finland, Norway and other countries where online gambling is popular. 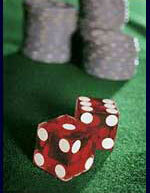 I've compiled a section of the best online casinos that I recommend to those who visit my website. This section has been broken into online casinos that I most recommend by the particular countries. To view this list please simply click on the image below. World Gambling Review is a useful information portal which is specifically designed to cater to online casino enthusiasts from around the world. This website contains a comprehensive range of online casino reviews which have been based on independent monitoring from our dedicated team of writers and our most highly recommended online casinos are powered either by Microgaming, Playtech or Net Entertainment (NetEnt). Each of the fully licensed online casinos that our team of writers have reviewed for you welcome players from around the world, they support multiple languages and they accept a wide range of online payment options. You can deposit and withdraw at each of these top-rated online casinos using e-wallets, bank transfers, credit cards, debit cards and prepaid cards, plus several other reliable payment methods are also now accepted. All of our featured online casinos are controlled by some of the most trusted names in the online gambling industry. Our readers can learn about the latest online gambling laws in locations such as Australia, Brazil, Canada, Finland, France, Ireland, Italy, Japan, New Zealand, Norway, South Africa, Sweden, Switzerland, the United Kingdom and the United States. We discuss online casino bonuses and reveal how they work and we also take a look at online casino payout percentages and reveal how they work as well. You can even learn about rogue casinos and the best way to avoid playing at these sites, plus we compare free play vs real money online casino play. Also learn about the games, products and platforms which have been developed by the industry’s best software providers and find out exactly what each company has to offer. Our top three providers have developed an exciting range of games which include online slot machines, online table & card games, online video poker, live dealer games and much more. Their games can either be launched instantly in your browser or from within a perfectly secure Microgaming or Playtech download client and many of these casinos are also now compatible with most modern mobile & tablet devices. We hope that you will take a few minutes to have a good look through this website where you can also learn about the pros and cons of gambling at online casinos, how to actually pick a suitable online casino and how to get started at an online casino for the every first time. Whether you are a newbie or a seasoned pro, there is basically something on this site for everyone. If you're new to the world of online casinos and gambling online than the below pages can be useful in helping you to get started.